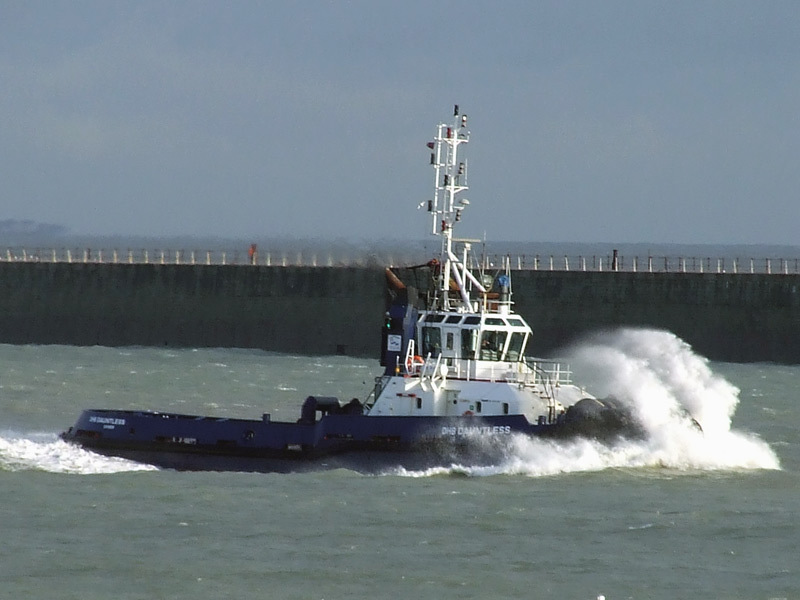 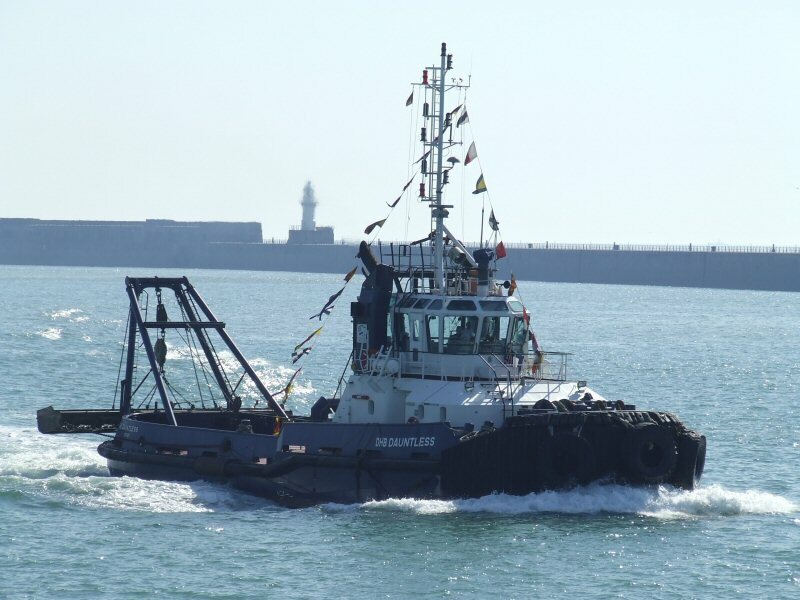 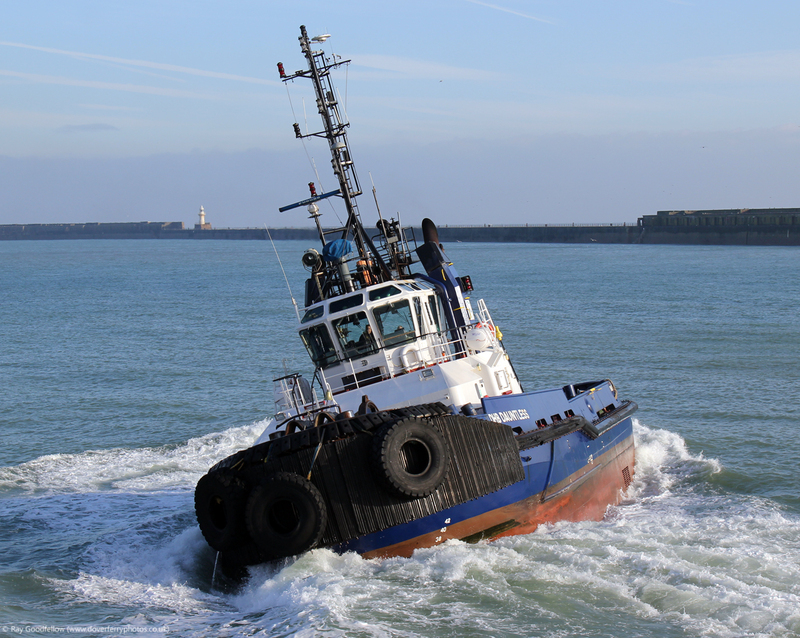 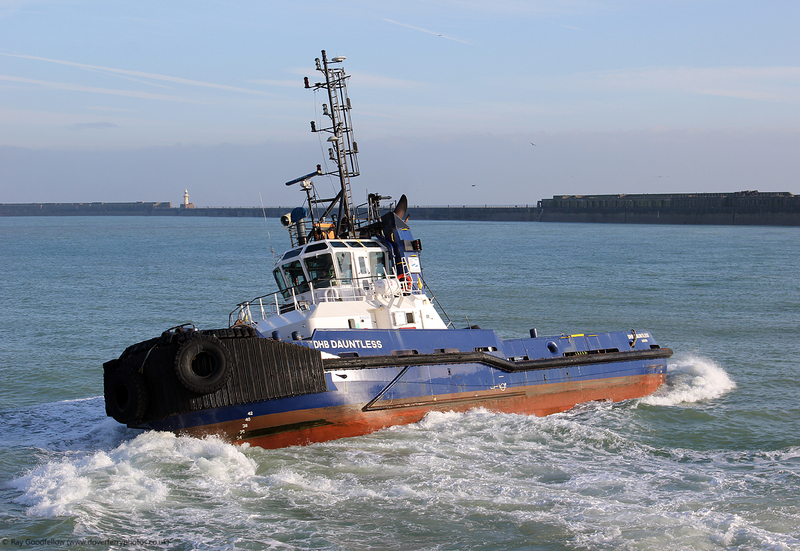 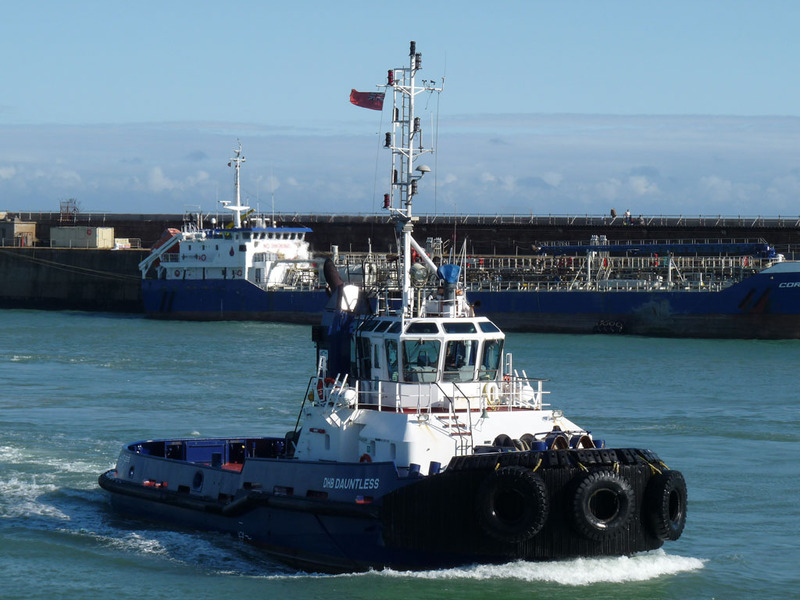 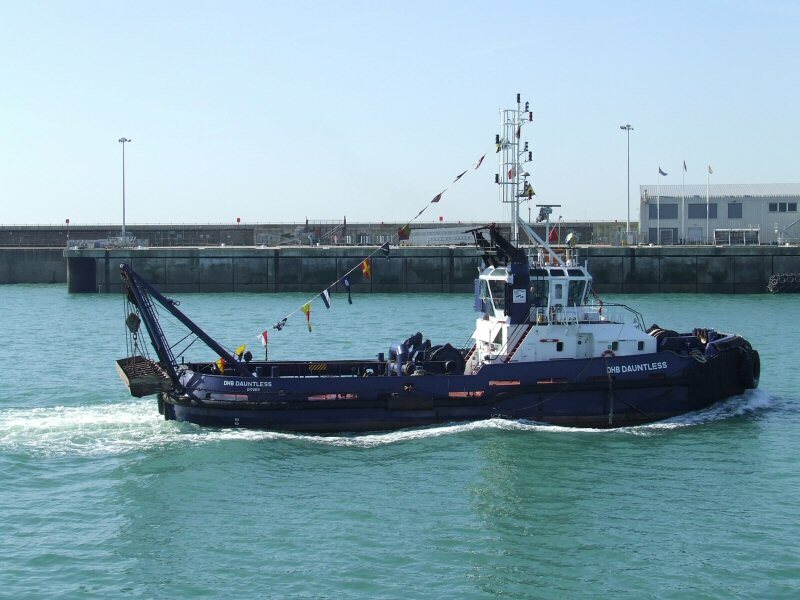 Azimuth Stern Drive (ASD 3110) tractor tug (‘Z’ drive) unit built in March 2000 by Damen, Gorinchem (Yard no 7943), Holland, for the Dover Harbour Board. 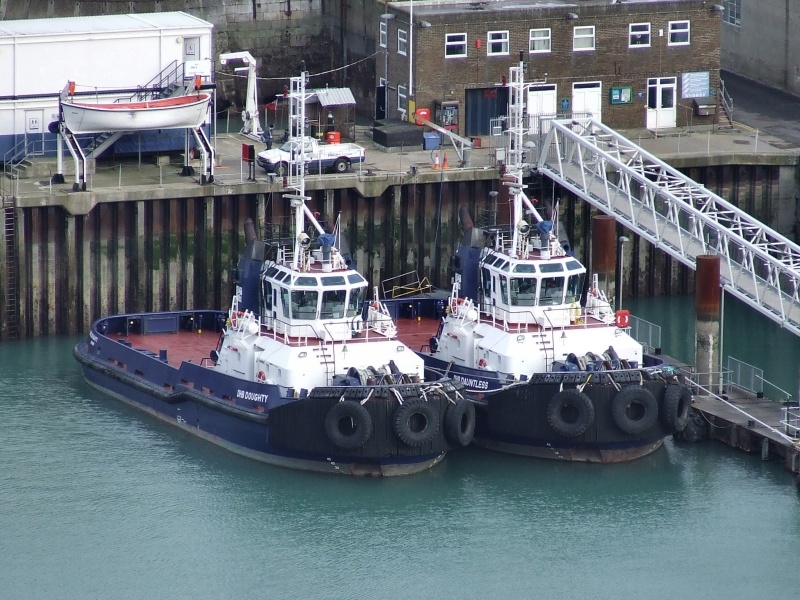 June 1st 2000: Named by Dover Harbour Board members Margaret Llewellyn and Cynthia Alers. 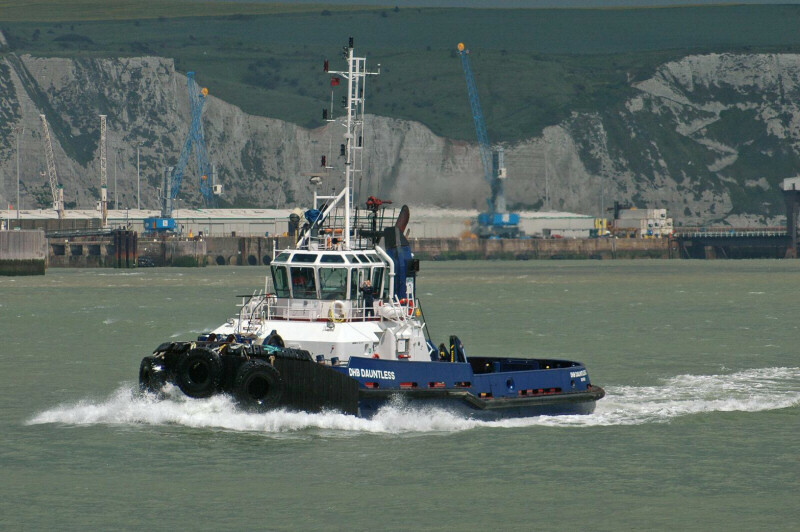 2005: In service. 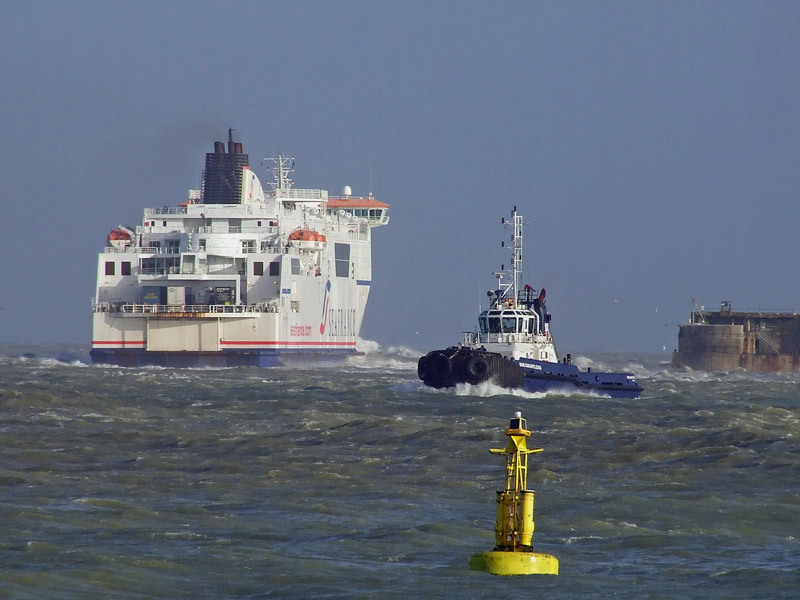 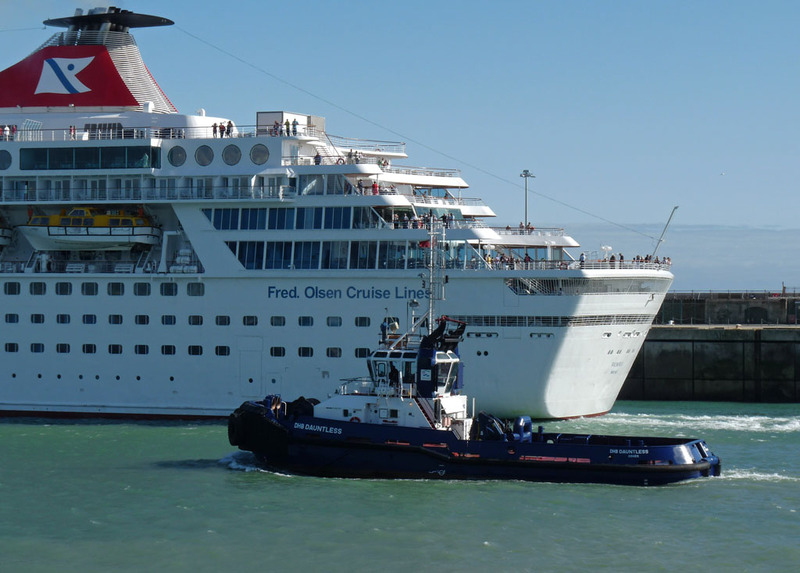 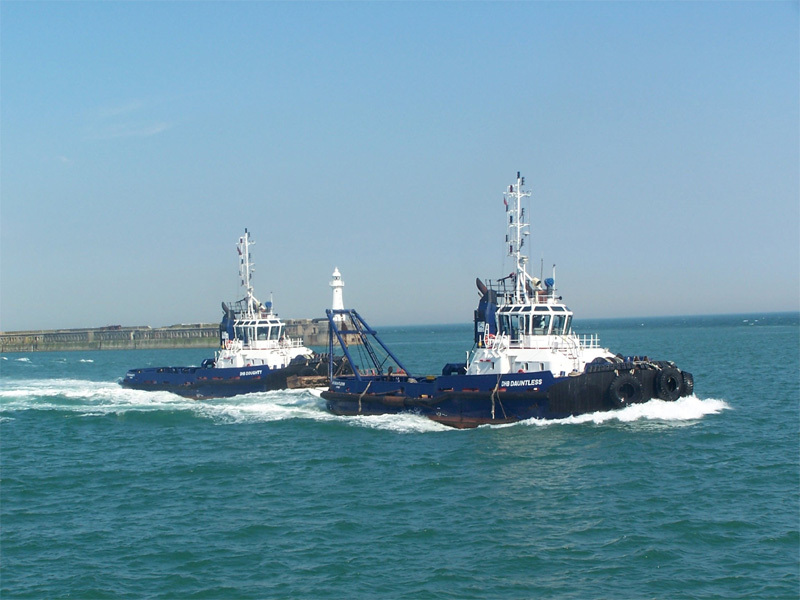 The sisters operate over the bow with their own 80mm towing ropes, usually towing through the vessel’s forward and aft centre leads and both tugs are let go before the vessel passes between the breakwaters, unless the vessel is proceeding stern first. 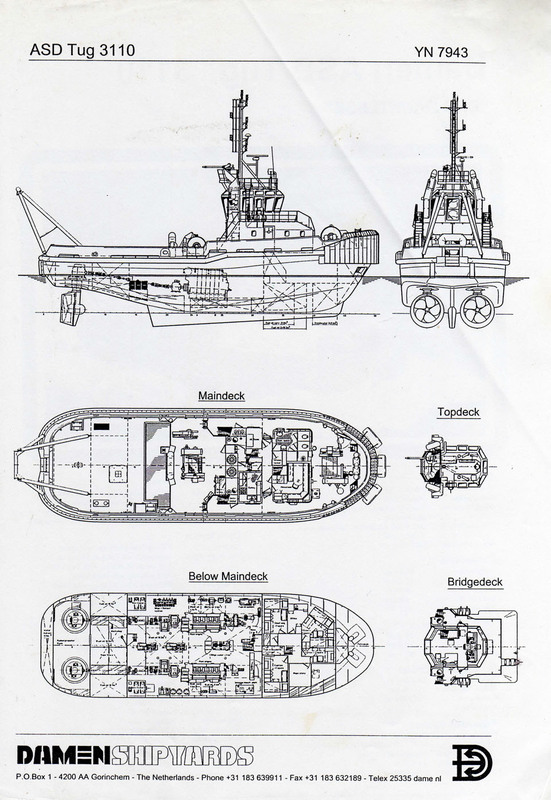 All information is believed to be correct and no responsibility is accepted for any errors or omissions found. 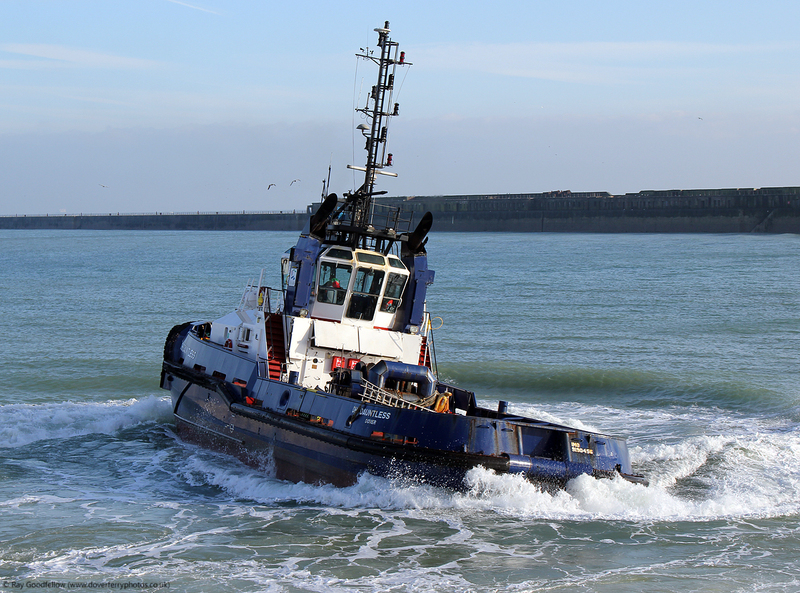 All items included in this article are subject to © copyright. 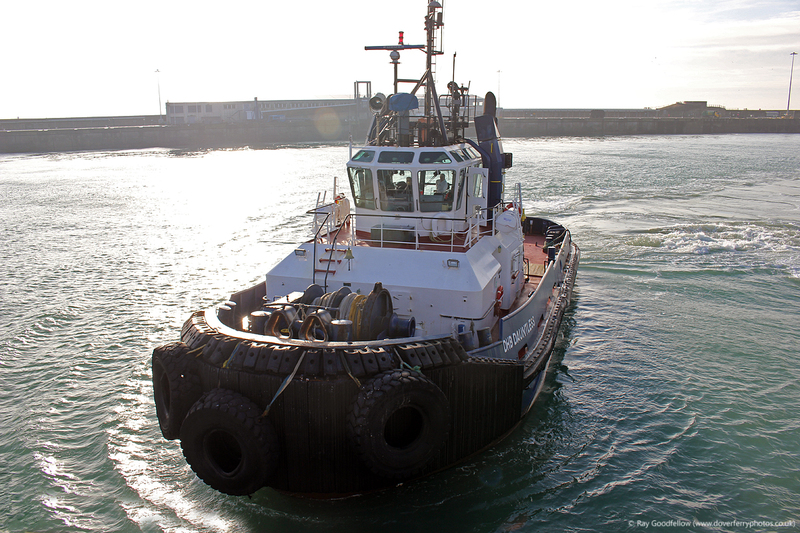 We would like to thank Trevor Boston for his assistance in producing this feature.